Learn from the top 3 Green Fleet Award winners for 2018 out of a possible 38,000 public fleets in North America by tuning in to a free webinar, 2 p.m. to 3 p.m. Tuesday, October 30. Join us to get the straight story on the methods and technologies that work for the top Green Fleets! You will learn how the fleets were able to get funding for alternative fuel vehicles as well as the infrastructure to support them. They will also present the ROIs for their projects. These are tools, tips and strategies that you can use in your operation the next day. Learn more about the Green Fleet Awards here, and register for the webinar here. SACRAMENTO COUNTY (#1) – Keith Leech Sr.
Keith Leech Sr. currently leads Sacramento County‘s Fleet Division and Parking Enterprise. 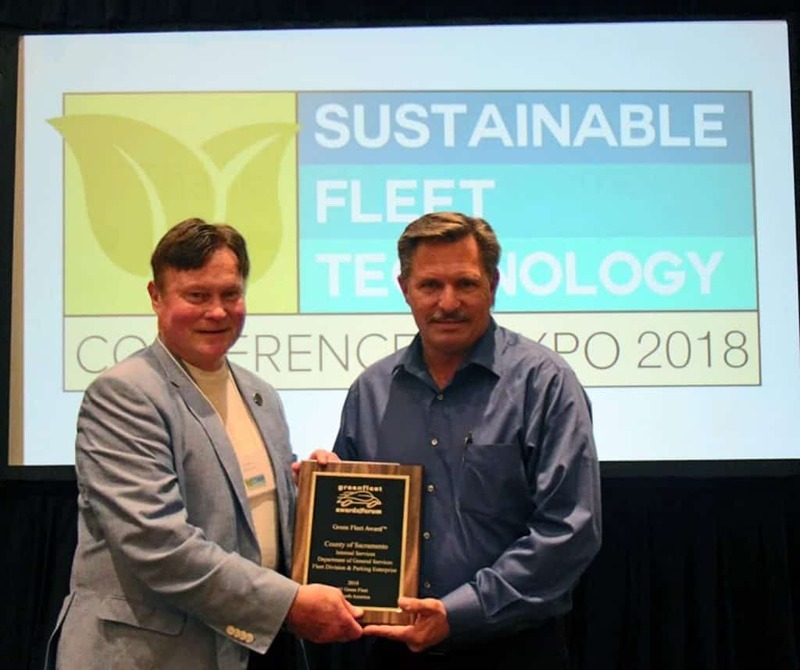 The County of Sacramento is recognized as a trailblazer in implementing renewable fuels and innovative fleet technology projects driven by strategic business planning processes and data driven decisions. Sacramento County’s fleet was recognized as the #1 Green Fleet in 2018 and among Government Fleet’s Leading Fleets and 100 Best Fleets for the last three consecutive years. 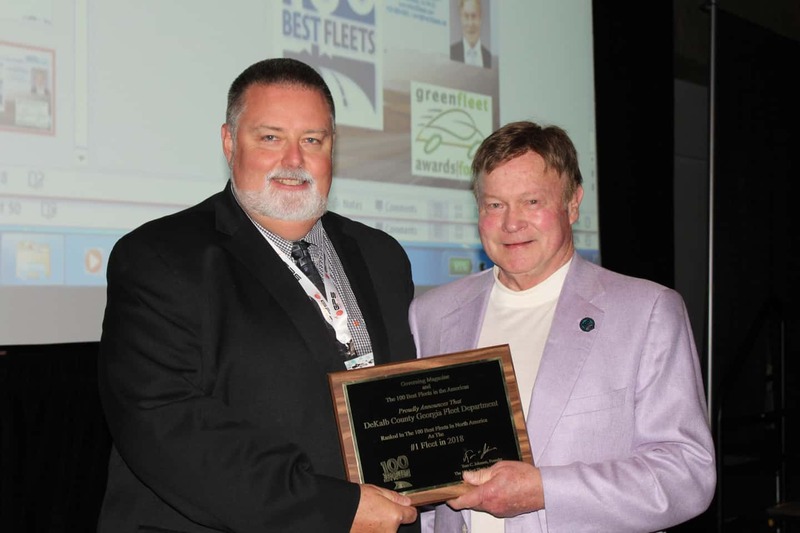 Keith was inducted into the Public Fleet Hall of Fame in 2017 by Government Fleet Magazine and APWA and received NAFA’s 2014 Fleet Excellence Awards for Excellence in Public Fleet Sustainability and Excellence in Fleet Leadership. Keith currently serves as Chairman of the Northern California Chapter of the Municipal Equipment Maintenance Association and NAFA’s Government Affairs Committee. He also serves as President of the Sacramento Clean Cities Coalition. Mark Stevens has served as Fleet Manger for the City of Pompano Beach, FL; Asheville, NC; and the City of Sacramento, CA. He graduated from Purdue University with a Bachelor’s degree in Mechanical Engineering Technology. For 20 years at the City of Pompano Beach, FL, Mark established a state of the art Fleet Management operation comprising fleet operation software, fuel management software, and complete operational procedures. Customers included Police, Fire, Public Works, Utilities Parks & Recreation and assorted support divisions. As Fleet Manager with the City of Asheville, NC, Mark was instrumental in upgrading the city’s CNG public access fueling site as well as establish a time fill CNG station for the increased use of CNG for its Sanitation Department solid refuse fleet. He augmented the city’s alternative fuel vehicle program to help reduce the city’s overall carbon footprint. Currently, Mark is Fleet Manager of the City of Sacramento, committed to continuing the award winning Fleet model for #1 Best Government Fleet and #1 Green Fleets, committed to promote the city’s Sustainable Fleet initiatives. Robert Gordon is the Deputy Director of the Fleet Management Department for DeKalb County Georgia. He has 31 years of professional work experience in the Fleet Management industry with 17 years of government fleet experience and 14 years of experience with truck leasing organizations. Robert earned an Associate’s Degree in Business Management, a Certificate of Public Works Management and an Advanced Certificate of Public Works Management through the Carl Vinson Institute of Government at the University of Georgia. He graduated from DeKalb County Government’s Bright Futures Emerging Executive Leaders Program. He is on the board of directors for Clean Cities Georgia. DeKalb County Fleet Management has placed in the Top 10 of the 100 Best Fleet for the last 5 years. Under his direction, DeKalb County Fleet Management achieved 1st place in the 100 Best Fleet Award in 2018. Robert also received the 2018 FLEXY award for Outstanding Achievement in Public Fleet Management from NAFA Fleet Management Association. He serves on advisory committees at Georgia Piedmont Technical College, Warren Tech, Southern Crescent Tech, Whitfield County Career Academy, and Atlanta Metropolitan College. He is also an active member in many organizations including 100 Best Fleet, Green Fleet, NAFA, Georgia Motor Trucking Association, American Public Works Association, Georgia Municipal Association, Clean Cities Georgia, Southeast Diesel Collaborative, and Southeast Governmental Fleet Managers Association.